Falcon Eye Drones (FEDS) is a UAE-based drone-powered solutions company. FEDS is one of the first businesses in the Middle East and Africa region to provide commercial drone services as well as the first drone company to receive International Business Excellence Awards. FEDS capitalizes the advancements in drones technologies and the rise of emerging technologies such as AI and IoT. FEDS innovates processes, systems and solutions that shapes the future across all industry verticals in nowadays Data Powered Economies and Societies. It strives to provide each business with safer, faster, and more cost-effective solutions to improve business decision and strategic planning. FEDS is formally registered as a drone’s operator with both GCAA and DCAA in UAE. Geospatial Information Technologist will provide strategic and operational leadership to Falcon Eye Drones in development of geospatial technologies that enables in-depth and tailored applications and solutions in areas such as construction, utilities, agriculture, environment, natural resources, quarry & mining, industrial inspection, urban planning, Oil & Gas. The incumbent will report to Managing Director and work in consultation and collaboration with FEDS’ Chief Innovation Officer as well as other Heads of Departments. 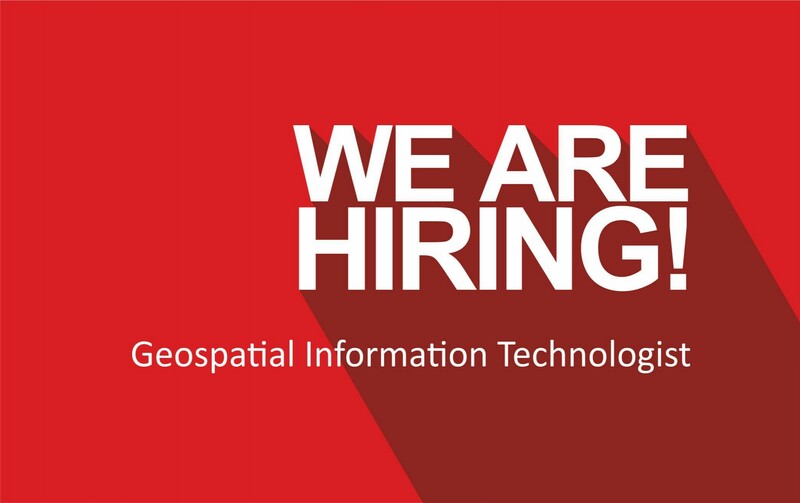 Provide technical expertise in Geospatial technology. Perform computer programming, data analysis, or software development for Geospatial and Geomatics applications, including the maintenance of existing systems or research and development for future enhancements. Produce data layers, maps, tables, or reports, using spatial analysis procedures or Geo-informatics technology, equipment, or systems. Perform integrated or computerized geospatial analyses to address specific Geomatics projects. Create, edit, compile, integrate and analyze various geospatial data including remote sensing imageries and cartographic data. Design, model, program, and Develop new applications for geospatial applications or procedures. Communicate effectively with clients and end-users to ensure that geospatial applications and products meet user needs. Implement FEDS Capacity Building and Training strategy including developing and presenting workshops and seminars during Drones Synergies International Conference. Evaluate the thematic accuracy of a data product derived from remote sensing imagery including field data collection for accuracy assessment. Demonstrate familiarity of appropriate uses of geospatial modeling techniques (e.g. neural networks, cellular automata, heuristics, agent-based models, and simulation models) with the existing predictive models and their applications. Develop conceptual, logical, and physical models of a geospatial database designed using a JAD approach to assess user needs. Customize geospatial software using proprietary and open source software components, such as ESRI’s ArcObjects, Intergraph’s GeoMedia software suite, and the GeoTools open source project with various SDKs. Work effectively in teams to plan and coordinate software and application development. M.Sc or M.Eng in Geospatial Sciences, GIS an Remote Sensing, Geomatics Engineering, Geo-informatics with relevant B.Sc / B.Eng in the same or in Geodesy and Surveying, Computer Science or related fields. Relevant industrial experience of 5 years or more. Proven experience of Geospatial modelling, analysis and programming and using various SDBMS in various SDI environments. High level of organization, ability to manage multiple tasks and teamwork. High level of proficiency in English and excellent technical/scientific writing skills. Experience working in diverse and multi-cultural environments. Proven record of proficiency of most commercial geospatial software packages including but not limited to (ArcGIS, QGIS, ENVI, Geomatica, eCognition, ERDAS Imaging, Pix4D, PhotoScan, and Context-Capture). Familiarity with Professional Unmanned Aerial Vehicle Industry including fixed-wing and multirotor drones. Recognized small drones piloting license.